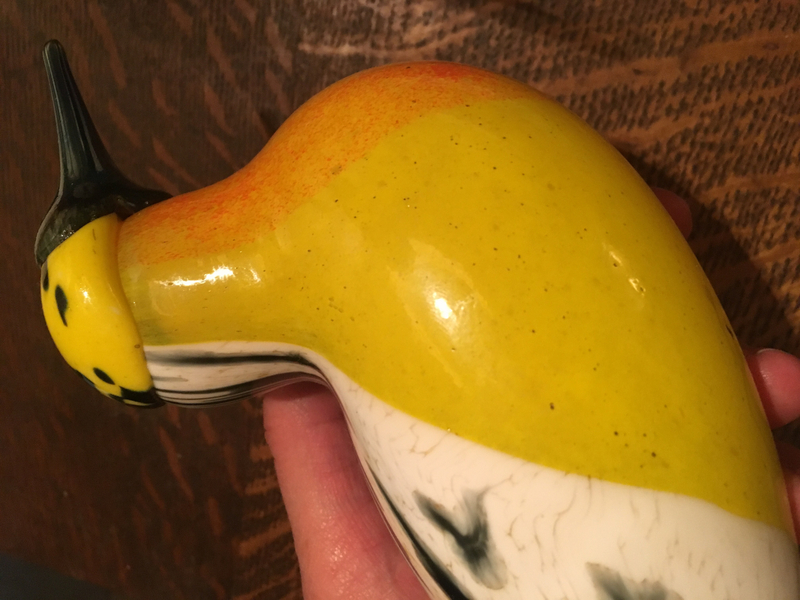 More about iittala Toikka Blackburnian Warbler Minneapolis, Minnesota is GlassBirds.com's home base and the host city of FinnFest 2017. There, a lucky onlooker might catch a glimpse of a Blackburnian Warbler headed south this autumn. Fall colors lend a vivid plumage to the stunning songbird, which has a yellow head and orange throat. 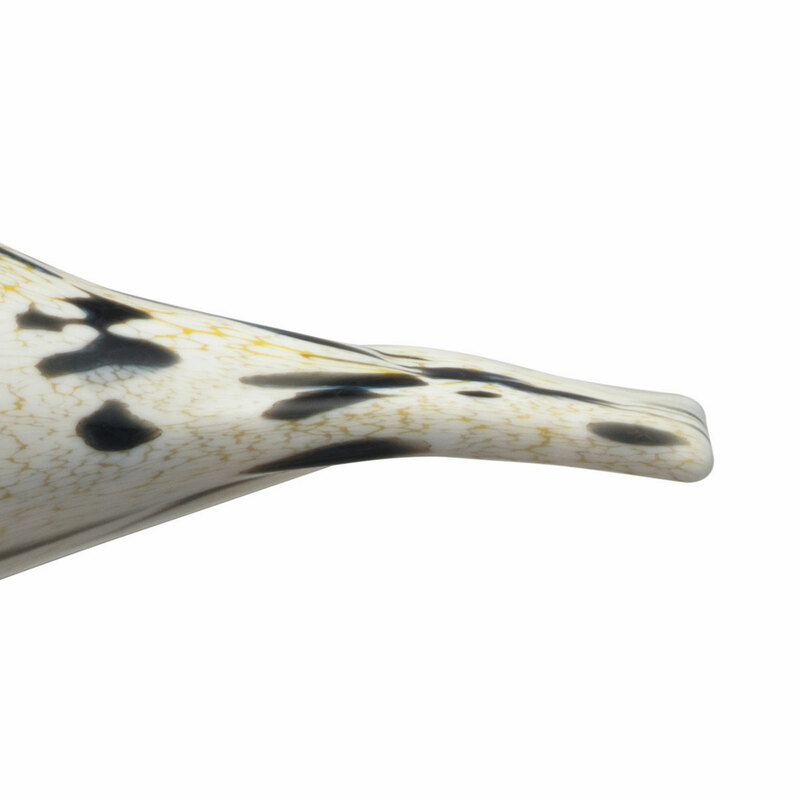 Toikka recreated the species' pretty palette in his artistic interpretation, reserving the rest of the bird's black-and-white body for iittala's skilled glassblowers to leave their unique mark on. 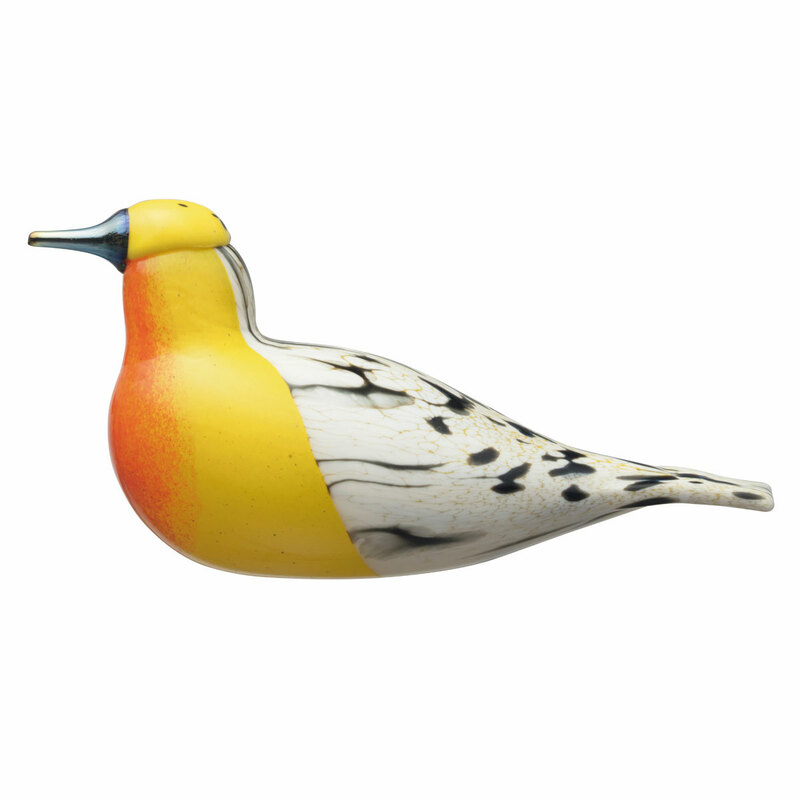 As in nature, no two are alike, making your iittala Toikka Blackburnian Warbler - FinnFest 2017 Bird a one-of-a-kind piece of Finnish glass art.The birds of Oiva Toikka's collection are individually mouth-blown by the master glassblowers at iittala�s glassworks in Finland. Each handcrafted iittala Toikka Blackburnian Warbler carries the signature �O. Toikka IITTALA FinnFest 2017� on its base to ensure authenticity and remind you of its special origin. Though designed to sit on a surface, it settles into the coves of my palms perfectly. 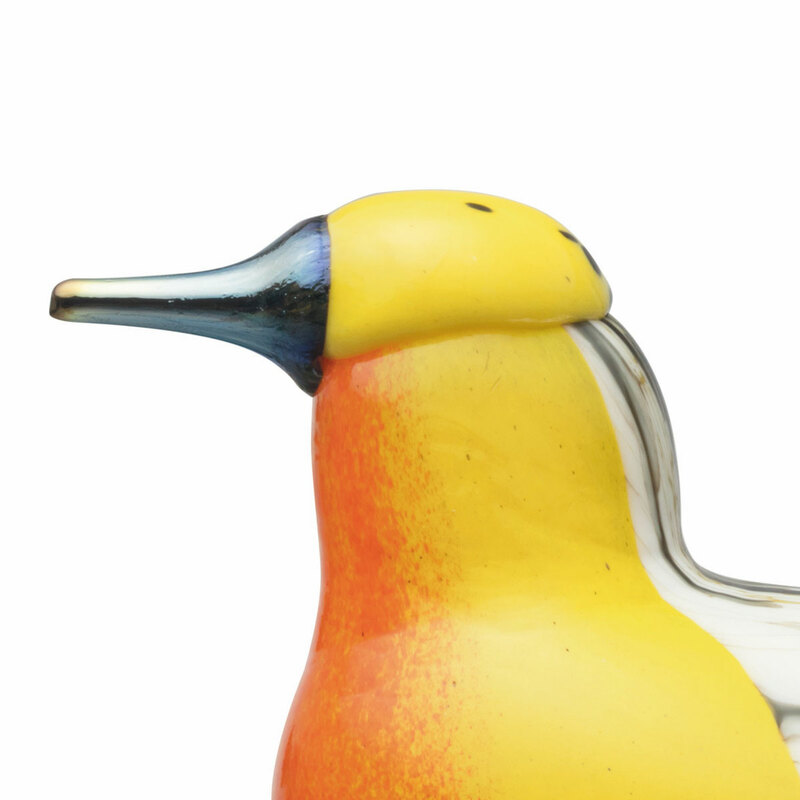 A cuddly glass sculpture is surprising. Beautiful too. ConsIt is glass. I live on an earthquake fault. but I was suprised that the VAT fee was so high.